Morecambe striker set to return from injury? 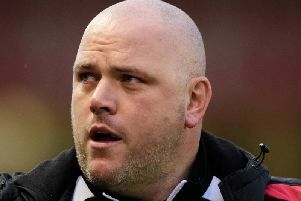 Morecambe travel to Northampton Town tomorrow with Vadaine Oliver set for a return to Jim Bentley’s squad. The striker has missed the last three matches through injury at a time when the Shrimps’ striking resources have been heavily depleted. However, as Bentley acknowledges in this video, he is the likeliest player to come back for tomorrow’s match given the scale of their injury problems.